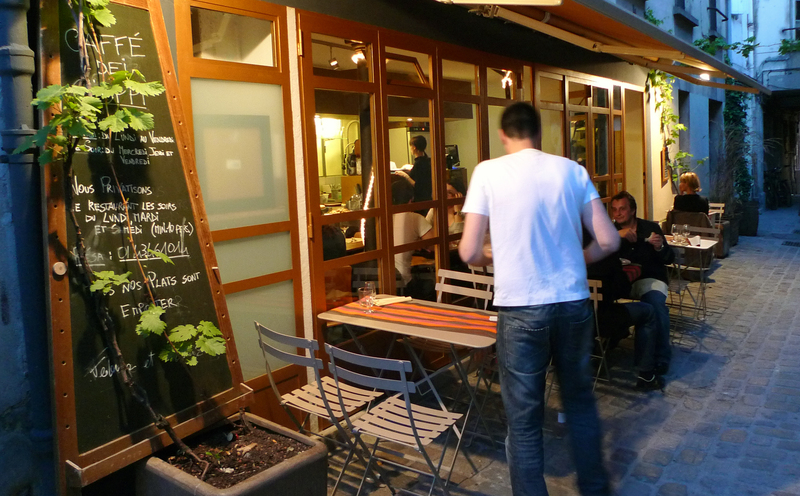 Walking down the Rue du Faubourg Saint-Antoine, past the discount shoe shops and banal looking cafés, looking for number 159, it’s hard to imagine that anyone would want to eat outside in this neighborhood. This stretch of road, like many busy thoroughfares, doesn’t have much to recommend. But turn left or right on a good number of streets and you’ll find a likable neighborhood, often overlooked by visitors. And so it is with the Caffé dei Cioppi. Enter the doorway of number 159 and instead of a storefront you’ll find a secluded alleyway lined with cobblestones and clinging vines. The unexpected loveliness of it all in contrast to the street you left behind makes it all the more appealing. 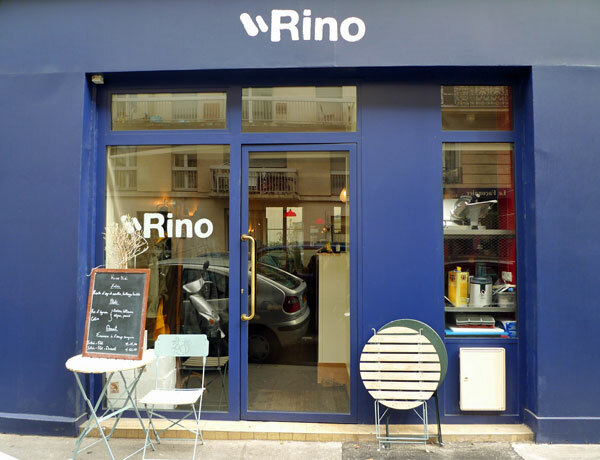 Stray a few blocks from the marché Aligre, one of Paris’s most interesting markets, and you’ll find Rino, a newly opened, pocket-size restaurant, which happens to be one of Paris’s most exciting tables of the moment. The simple dining room seats all of 20 or so diners, with a few high tables over looking the slender, open kitchen, and then another eight or so tables in the sparsely decorated modern dining room with its wooden tables, cherry red banquettes and matching light fixtures. And in case you didn’t get a look at the menu, the funky music wafting into the dining room and the waiter/sommelier with 3-day stubble, cool retro glasses and a charming Italian accent are all tell-tale signs that this is not going to be your run of the mill Paris bistro. And ordinary it is not. 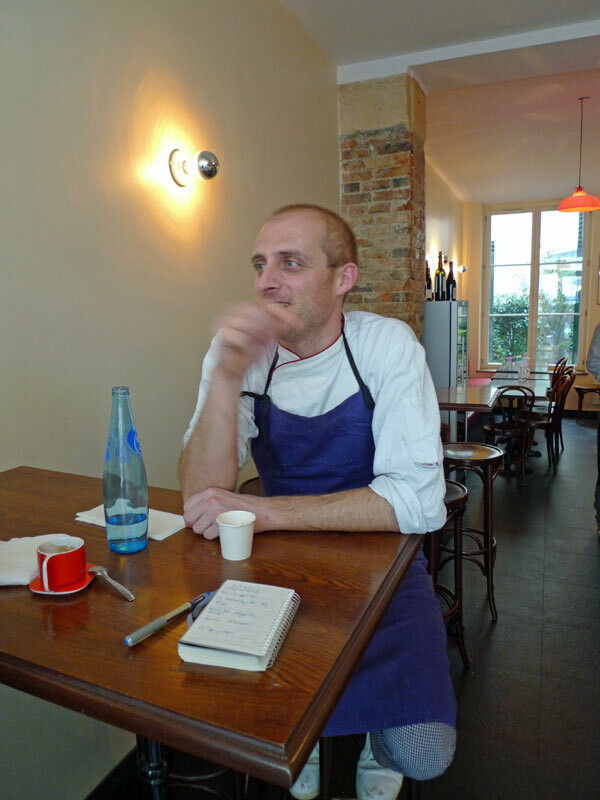 The chef, Italian born Giovanni Passerini, has an unusual culinary background, especially for France where chefs enter the profession at a very young age and go through rigorous training. Self taught and late to the game, he started his career in 2002 at a hip, yet elegant, 16 seat Michelin-starred French restaurant in of all places but Germany. 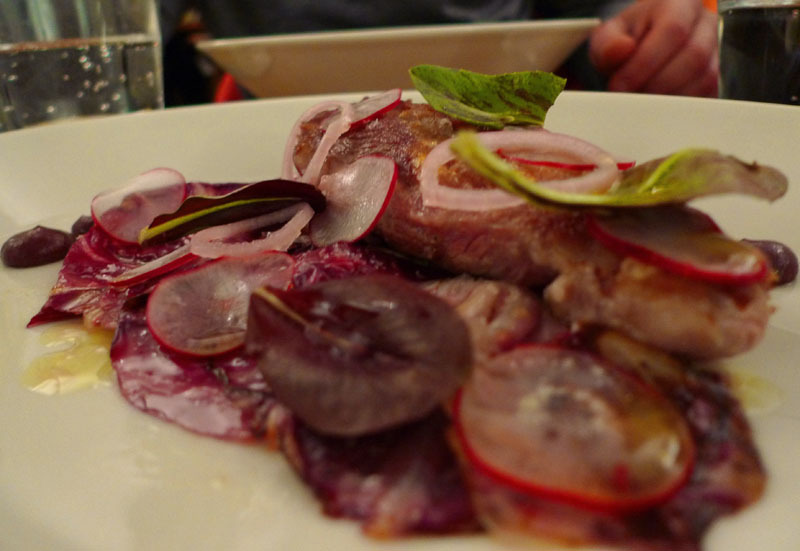 He then went back to Rome for a stop at Uno e Bino, a highly-regarded Italian wine bar, before landing in Paris where he did very brief stints at both Arpege and Chateaubriand before settling in with Peter Nilsson at Gazetta, arguably one of Paris’s best modern bistros. 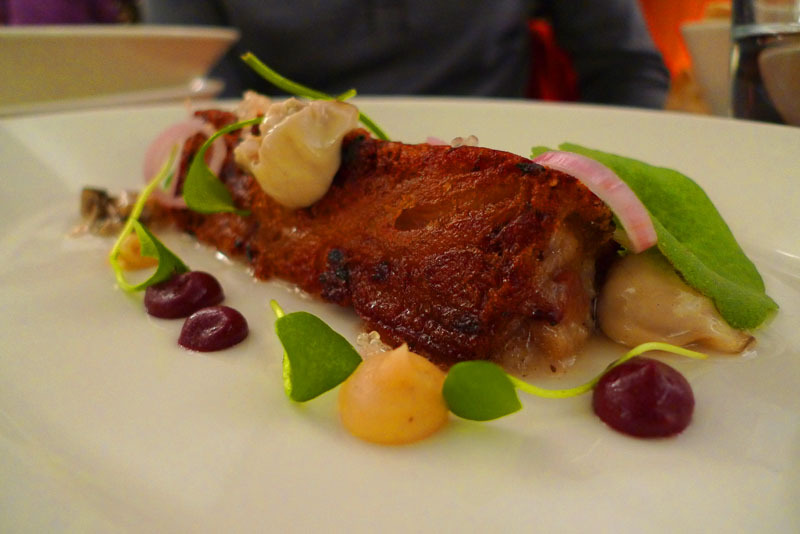 His daring market-based cuisine is light without the use of heavy sauces, using the best of seasonal ingredients including stunning vegetables by Annie Bertin. 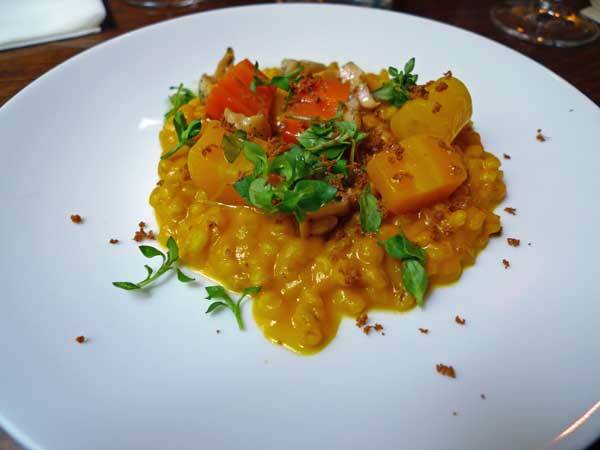 A recent lunch began with a brightly colored barley risotto with carrots, vinegar-soaked bulots (sea snails), and grated bottarga. 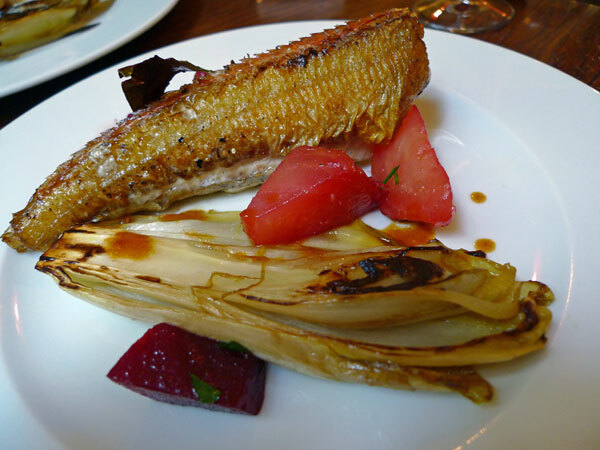 Main courses included a choice of superbly cooked grondin, a very nicely prepared colin, and crispy fried lamb sweetbreads, all served with Bertin’s spectacular beets and roasted endive. 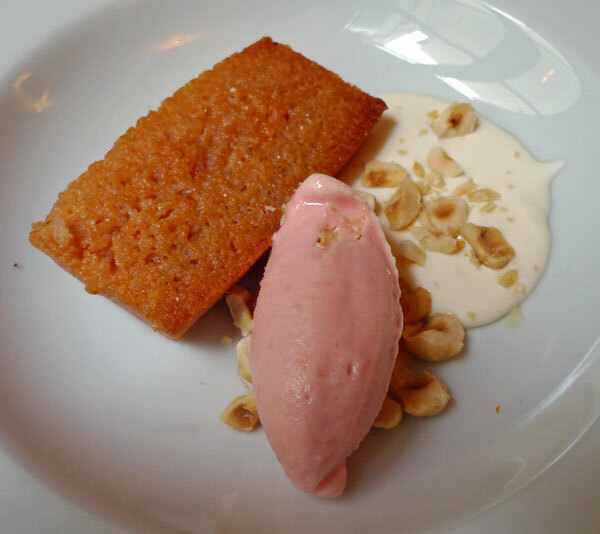 Desserts were equally good with a choice between a simple caramelized apple tart with tangy fresh cream and hazelnuts or a delicious financier with a delicate, creamy blood orange ice cream. We shared a very good bottle of “I Feudi di Romans ” refosco, chosen by Pietro Russano, who has put together a very reasonable and interesting wine list that strays from the usual suspects so often found on Parisian wine lists. And to finish, not surprisingly, some very good coffee. 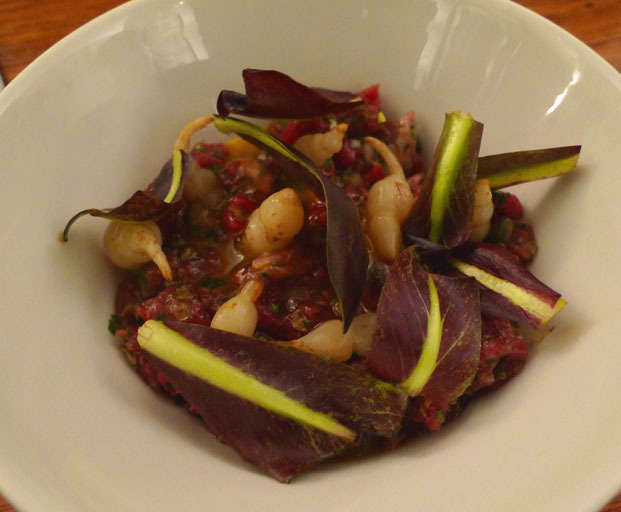 I am anxious to return in the near future for dinner, with its 4 or 6 course tasting menu which, I am told, is a real expression of Passerini’s passionate and inovative cuisine. 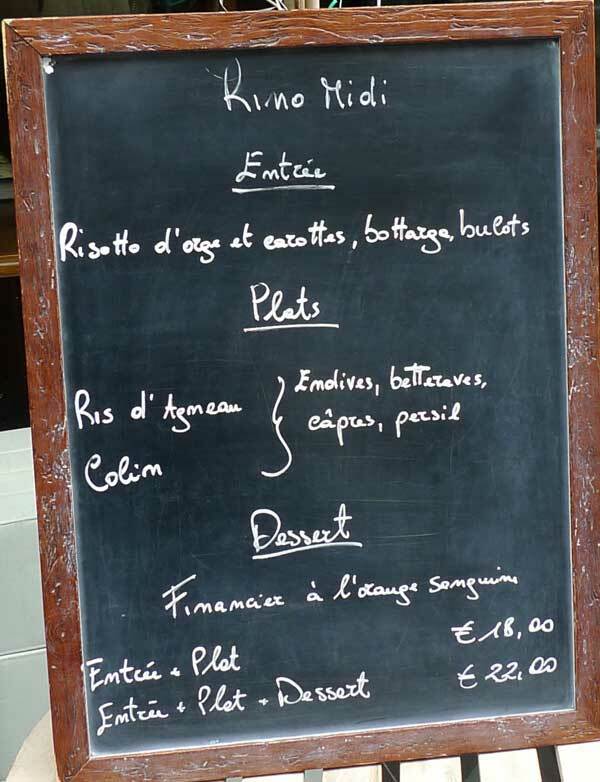 Lunch menus: 18 and 22 €; dinner: 38 € and 50 € (4 or 6 dishes, no choice). 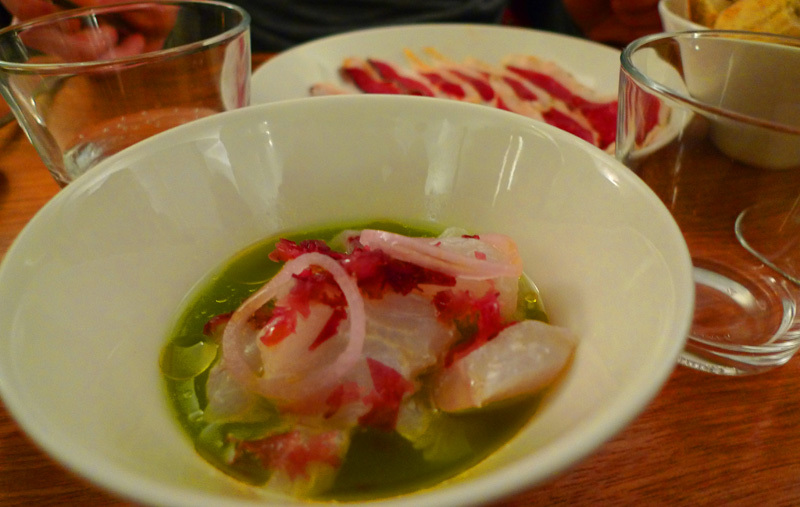 46, rue Trousseau, Paris 11th. Métro : Ledru-Rollin.